Simplicity Is out of the question for the pair. Unlike most pairs, the two normally have a distinct taste in their interests and owing to this fact, they prefer the marvels of outdoors upon meeting for the first time rather than staying indoors such as in a restaurant or a bookstore. It is worth taking note that it is not always a guarantee that you get the perfect much for you since nothing forged by nature is flawless; on the other hand, it is worth always giving a try since you may never know who you are best suited for if you do not give it a try. 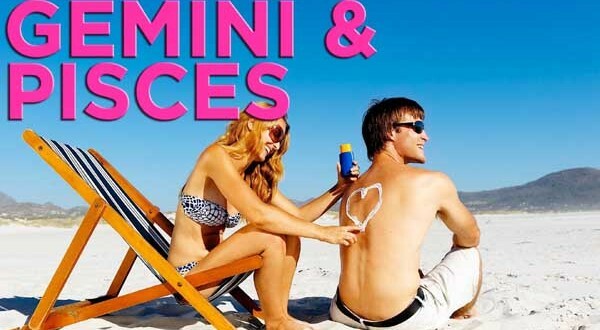 Without much ado, it is best that we take a look at some of the possible matches if you were to find yourself in a Gemini- Pisces relationship with you being the male or in a relationship where the zodiac signs were reversed. Quite interesting, isn’t it? One of the things that deems Pisces and Gemini as one of the most perfect fit among the zodiac signs is that whereas the Gemini male will always need some alone time, the Pisces female is less concerned about material things but is rather imaginative in nature. The flexibility of the female Pisces will enable her to easily keep up with the highly active and at the same time flexible lifestyle. The sensitive nature of the Pisces female doesn’t go unnoticed; it however does not go without saying that their sensitive nature and posing as being quite emotional is not to be mistaken with them always being overly expressive with their emotions and will only open up to the people that have already won their trust. A Gemini female is normally vibrant and full of life. Her mental and physical prowess definitely deserves some praise. On the other hand, a Pisces male is often gentle in nature and at the same time loving too. The composure of the Pisces male is complemented by the Gemini female hence making them a perfect match and the pair will definitely be full of life. At times, the Pisces man may be in a rather unsettled situation rendering him a rather poor decision maker; his female Gemini counterpart will always step in to assist him in making the best decisions upon analyzing the situation at hand. Gemini and Pisces compatibility in bed? Both parties are of an adventurous nature and either will always see the need of exploring new options- a fact that makes them best suited for each other. The two parties are normally good in bed and while Pisces may pose as being emotional, Gemini may at times be independent hence posing a threat to their partners. Taking this into consideration, though they might be good in bed with each other, Gemini is probably not the best for Pisces when it comes to a long term relationship.